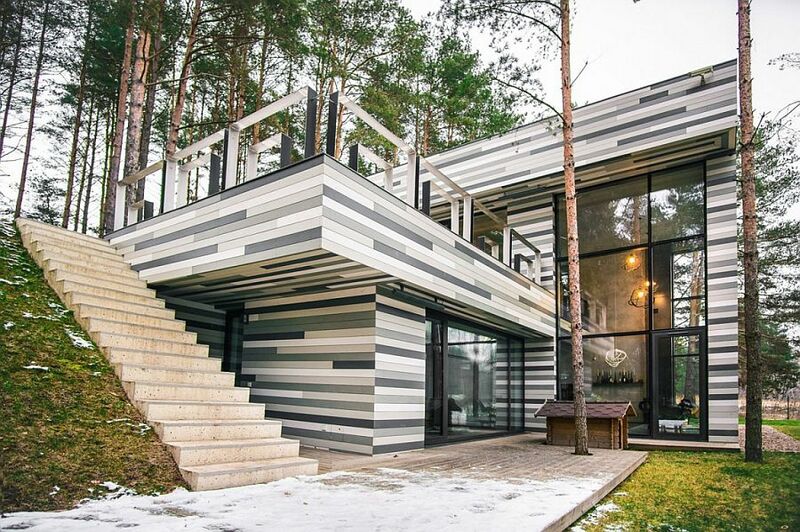 Surrounded by a beautiful coniferous forest and nestled on the bank of the Neris River, House Villa is an exquisite contemporary residence inspired by the landscape around it. 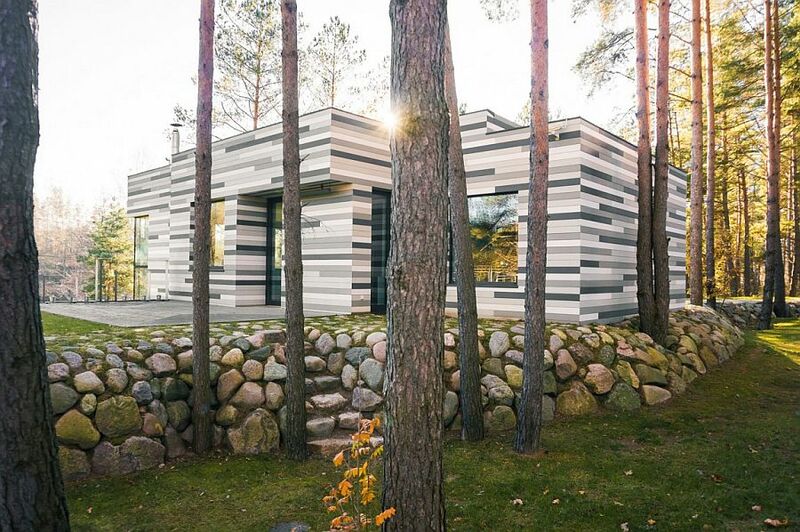 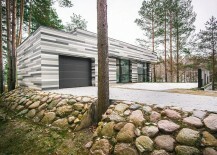 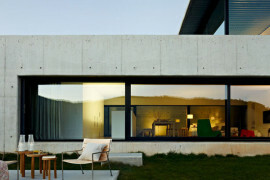 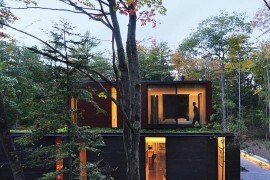 Designed by GYZA, the unique exterior of the house uses multiple shades of grey to create a distinct façade that looks even more beautiful thanks to the cloak of natural greenery. 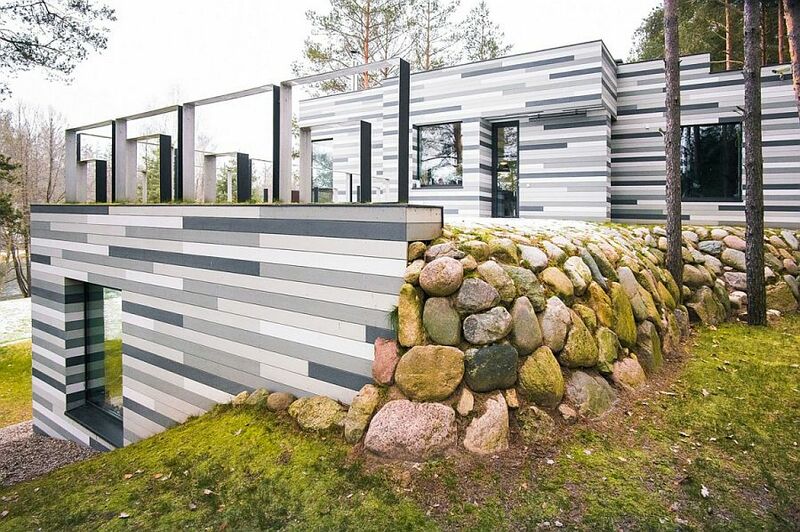 A birch tree stump nestled on the sloped lot was the inspiration for this exceptional design of the exterior and its fascinating use of grey. 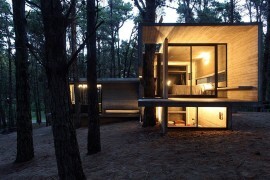 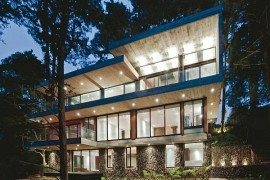 Crafted using concrete, wood, metal and glass, the house provides a relaxing forest getaway while staying decidedly modern. 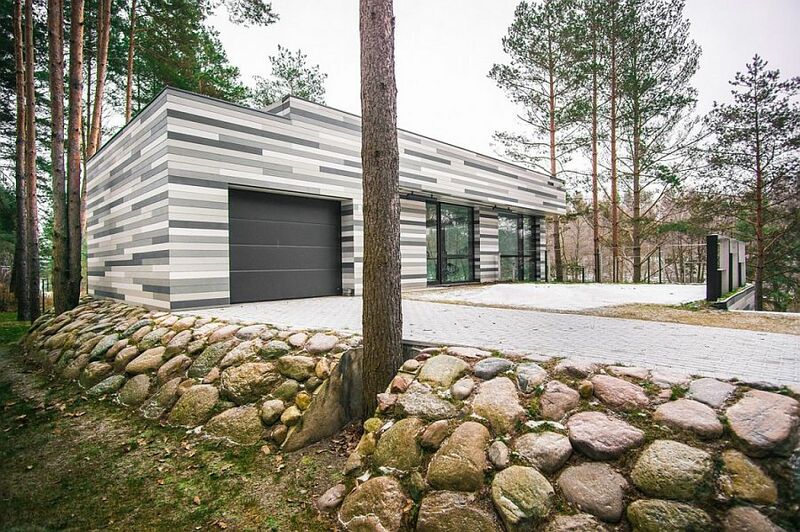 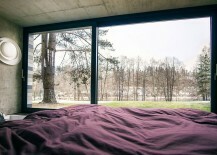 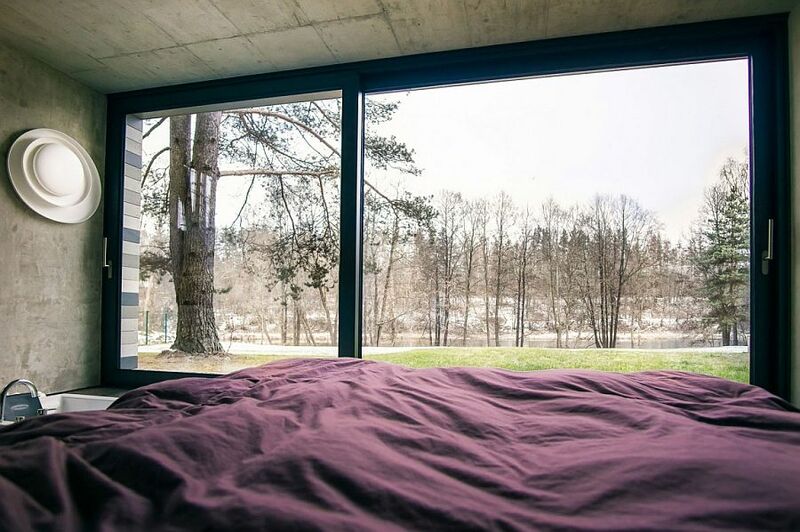 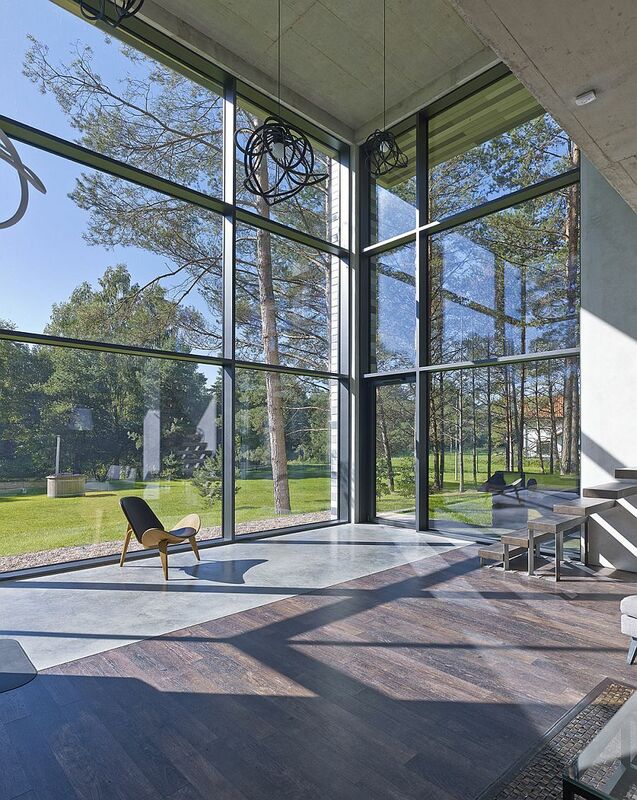 Located on the northern outskirts of the city of Vilnius, the home includes a section that recedes into the ground, giving the interior excellent thermal insulation as the upper levels offer unabated views of the scenic setting outside. 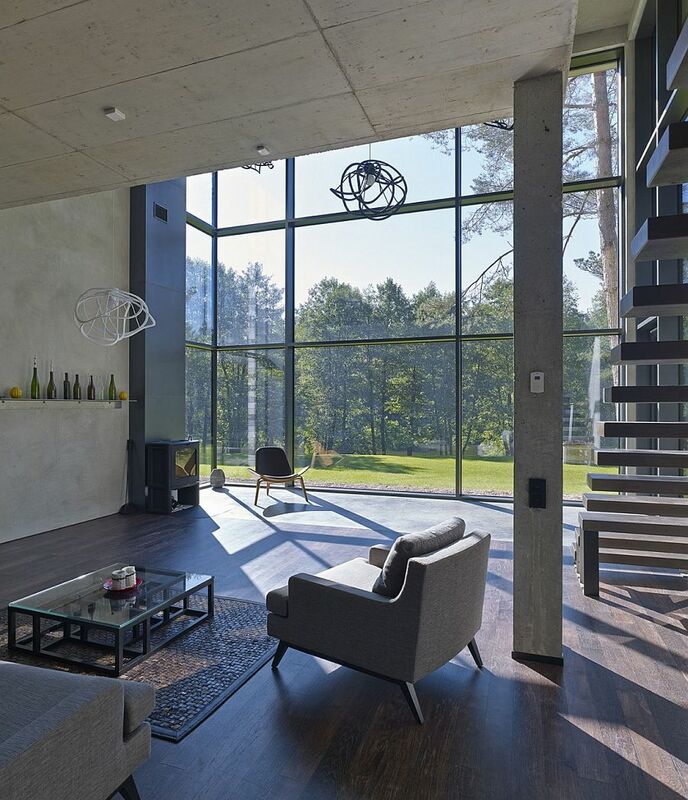 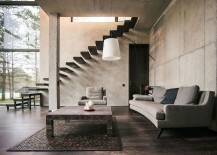 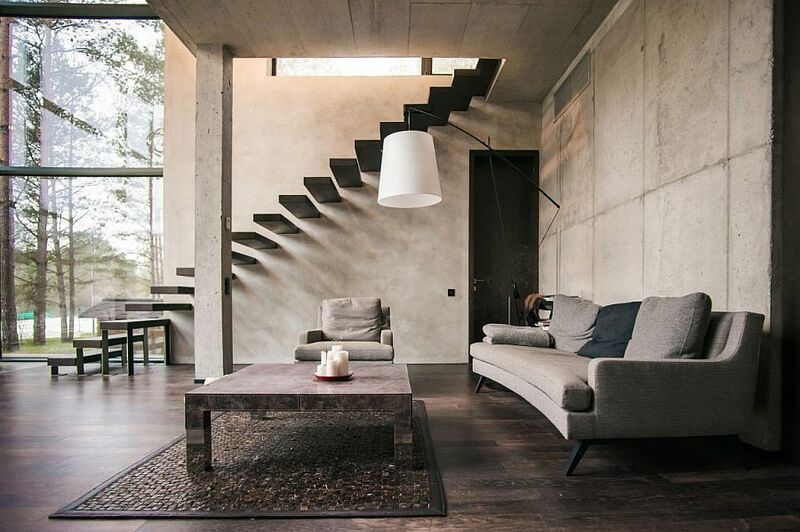 Large glass windows try to bring the forest indoors visually, while an airy living area with concrete walls and a floating staircase combine hints of minimalism with fascinating textures. 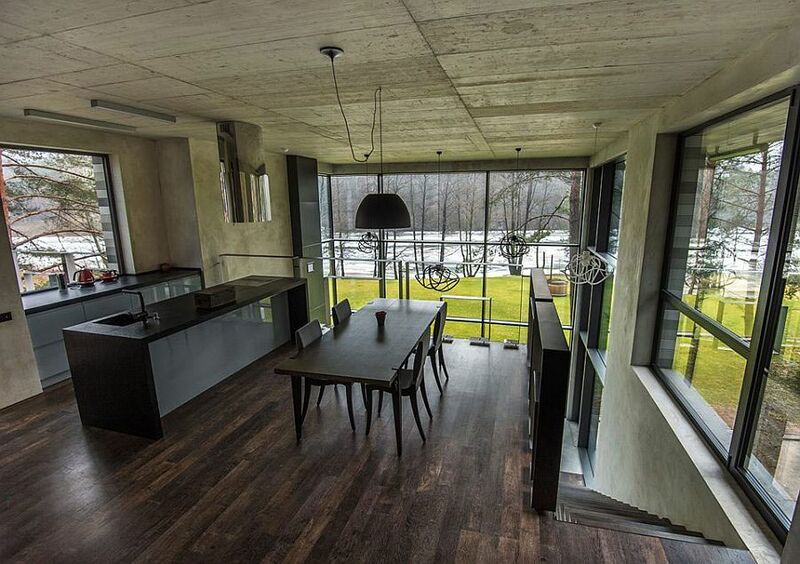 A mezzanine level that offers wonderful views of the river and forest area contains the smart kitchen and dining spaces. 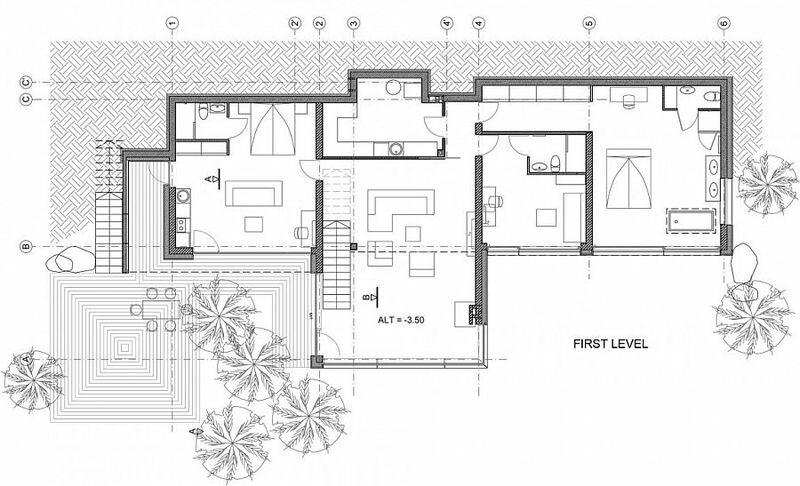 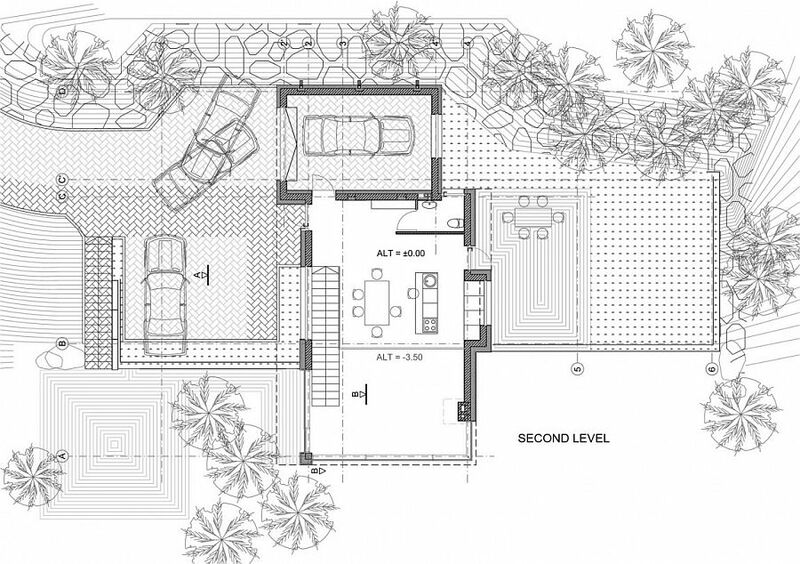 The lower levels include the bedrooms, guestroom and additional living quarters. 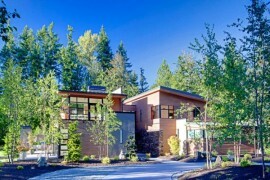 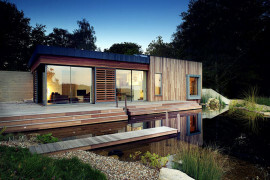 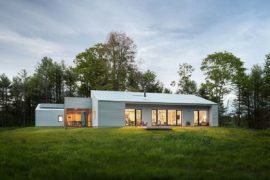 Natural air supply systems, geothermal heating and the energy-efficient design of the home aid in cutting down the power bills while giving it a natural, eco-friendly vibe. 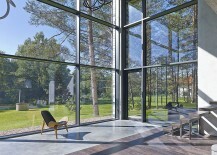 Acting as a seamless extension of the forest outside, the interior tries its very best to present a comfy and unassuming ambiance that keeps the focus on the countryside outdoors. 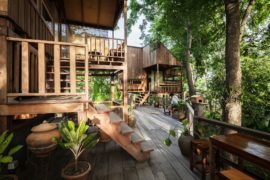 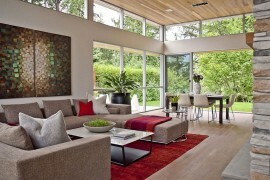 Spread across 2,432 square feet, this lovely residence is all about reconnecting with nature with style and sensibility!